Phoenix Wright: Ace Attorney Trilogy Launch Trailer - Any Objections? To think that it's been nearly a decade since we started gaming with everyone's favorite defense attorney, Phoenix Wright. I remember back when the first game launched as an experiment on the Nintendo DS to see if text adventures had an audience in America. Poor sales out of the gate led Capcom to believe that it did not, and the game was quietly discontinued for a while. However, positive word of mouth kept the franchise beating in the hearts and minds of fans. Its reputation as one of the best early games on the Nintendo DS quickly spread, and suddenly everyone wanted to try it! The problem was, there wasn't enough copies to go around, so Capcom threw a few more back into circulation along with its sequels, and like all of the best franchises out there, it slow-burned its way into becoming one of the company's most beloved properties. It also paved the way for other future text adventure hits like Zero Escape, Hotel Dusk: Room 215 and Ghost Trick: Phantom Detective. Now, we finally have the chance to relive this wonderful trilogy on the Nintendo 3DS. Phoenix Wright: Ace Attorney Trilogy launches today with a brand new resolution that does away with the original release's pixelated art. It might look better, but what makes Ace Attorney so special is that its character art and fast editing look fabulous no matter what resolution you look at them in. Technology can only enhance genius, never create it. 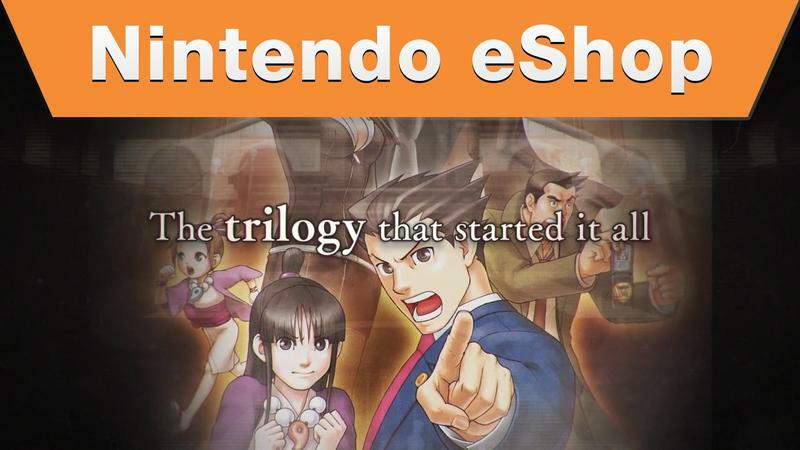 Ace Attorney is a wonderful, one-of-a-kind franchise, and if you've been on the outside looking in after all these years, then this bundle of the first three games is definitely for you. Be sure to pick it up and learn why so many people at gaming and anime conventions love pointing into mid-air and screaming "Objection!" at the top of their lungs.